Although the workplace has become more mobile, there is still need for a standard desktop PC in the work office, for many reasons. The first is reliability, and although mobile devices are beginning to grow in popularity, there is something more work-like when it comes to a desktop PC.With there being so many on the market, we’ve put together a list of some of the best ones depending on its purpose and price. When it comes to computer design, music production, web-development and many other industries, the Apple iMac has deemed to be one of the most popular options in the field. Apple has proven to be a reliable company when it comes to many things, and with quick load-up speed, plenty of warranty against any breakage, and reliability even when consistently used, the iMac tends to come up on top. 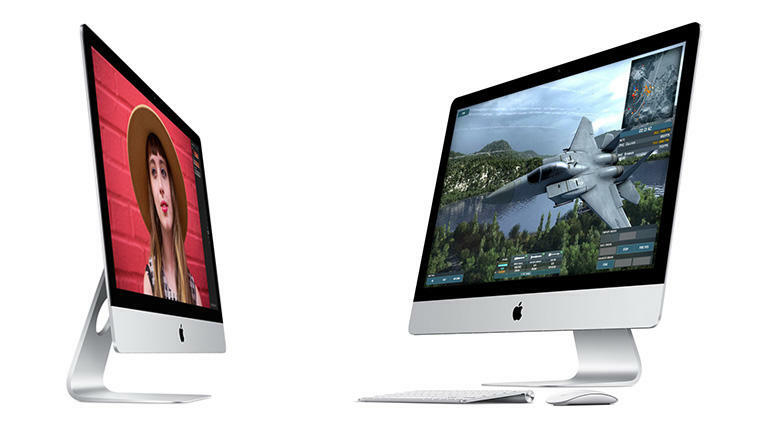 The iMac is so good with graphics that it can also be used as a gaming PC – meaning you’re sure to not come into any problems when it comes to using the iMac for creative, graphic purposes. In addition to this, the speed of the computer and the fact that it can effectively run large programs without struggling due to its Intel Core i5 processor, along with a relatively reasonable price depending on the size of the screen, there are plenty of reasons to choose an iMac. The fact that it says workstation in the name, will make you believe just how good the HP Z220 CMT Workstation is. With a good amount of storage capacity (1024 GB), a fast processor speed (3.5 GHz) 8GB or RAM and many more positive forces such as the NvidiaQuadro 2000 graphics card there are plenty of reasons why you should choose a HP Z220 CMT Workstation. Although shopping for IT desktops for staff, this PC is certain to give you everything that you need and more, all in one place. The Dell XPS tower, is one of the fastest and most reliable computers on the market, making it one of the best PCs for the office. With 10 USB ports, there’s plenty of space for external components, so when you’re in entertainment, photography, web-design or many other industries, this is a huge plus. It also comes with a 19 in 1 media card reader which allows plenty of portable storage cards to be red. There’s plenty of options within the motherboard for more components to, so if you’re whizz IT staff want to add something else, such as secondary hard drives or a better sound card, this PC can handle it all. If you’re looking for a PC with ample memory and storage, then the Dell XPS should be the one for your office. If you’re looking for a new selection of PCs on a budget, for both menial and complex office tasks, then the Lenovo S500 10HS is a good start. It’s thin meaning you’ll save a lot of space under the desk, yet comes with an optical drive and 14 USB ports. It can run on both Windows 7 and Window 10 Pro, has an Intel Core i5 processor to help the computer to run exceptionally smoothly, and is capable for use with two monitors – an essential component for some offices. This is a great budget computer for your office, which won’t reduce the work capability of your office whatsoever.